The case of one woman’s missed cancer diagnosis has become a major scandal for the HSE and government. THE CASE OF a terminally ill woman who won her High Court case against the HSE last week after being given incorrect smear test results was the first in a series of events last week that could now lead to the setting up of a statutory inquiry into the scandal. Vicky Phelan, who was told she was cancer free in 2011, was awarded €2.5 million because of the error and her case has led to a major audit of the National Cervical Screening programme. Here’s what happened as the scandal unfolded last week, and what we can expect to happen next. 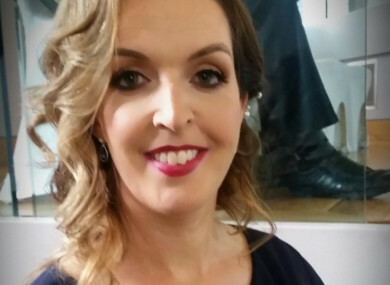 Vicky Phelan (43) wins her High Court case and is awarded €2.5 million. Speaking to RTÉ Radio One’s Ray D’Arcy Show, she explains how she went for a routine smear test back in 2011, and was told her results came back normal. While a smear test does not diagnose cervical cancer, an abnormal result would lead to further examinations to test the patient for cancer. Phelan’s missed results first came to light in 2014 following an audit of a number of smear tests. In the same year, she underwent a second smear test which indicated she could have cervical cancer. Her doctor wasn’t informed of this diagnosis until 2016, and she herself wasn’t informed until a further year had passed. In January of this year, she was given between six and 12 months to live. “When my gynaecologist told me about this audit, I was still cancer free… I was very shocked and angry to think that I had cancer going back to 2011 but at the time I had other stuff going on,” Phelan says. Phelan adds that her case was “unforgivable” and an “appalling breach of trust”. Speaking to RTÉ Drive Time, Phelan’s solicitor Cian O’Carroll suggests that, via the clinical audit, it has emerged that as many as 15 more women may have had cancer diagnoses missed because screenings were incorrectly judged to be normal. Phelan’s case makes all the headlines the next day, and the government faces tough questions about the screening programme. Minister for Health Simon Harris says he will write to doctors of women who may have had their cervical cancer diagnosis missed to ensure they have told their patients of their result. Addressing reporters, he says “it’s absolutely essential that we establish that those doctors told their patients of the outcomes of those audits”. We can’t just presume they did, or expect or hope that they did, we have to make it absolutely sure that they did so that women can have absolute confidence in relation to that. Speaking directly in relation to Vicky Phelan, Harris says his “thoughts are with her in this most horrific and difficult time”. “I want her to know, as Minister for Health, I don’t just apologise in the role that I hold, I want to take action to make sure that we learn from it as a system,” he said. During Leaders’ Questions in the Dáil, Tánaiste Simon Coveney is questioned about the 15 women who potentially had their cancer diagnosis missed. Minister Simon Harris meets with HSE director general Tony O’Brien, and they agree that an international peer review of the CervicalCheck programme would be undertaken “in order to ensure ongoing confidence in the programme” as a “matter of urgency”. The HSE says that more than 200 cervical smear results should have resulted in earlier intervention. Since 2008, 1,482 cases of cervical cancer have been notified to the CervicalCheck, Ireland’s national cervical screening programme. However, a review was warranted in 442 cases. Of these, 206 reviews suggested a different result that would have “recommended an investigation to occur at an earlier stage”, the HSE says. Harris says that a senior team has been sent in to ensure women have been told the result of their smear reviews and that a helpline (1800 454 555) will be set up to help answer women’s questions. “Like the rest of the country when I heard Vicky on the steps of the courts say that she wanted to see some good come out of her horrific situation I took a number of steps,” he tells RTÉ Six One News. Women who are watching this programme tonight, who have cervical cancer and are worried ‘could I have been told earlier’, ‘was I not informed’ they will be hearing in the early days of next week of an appointment to meet with their clinician. The helpline opens but is down for the first 90 minutes of operation in the morning due to a technical issue. Minister Harris tweets that it’s the “last thing anyone needed”. Harris says that the State will cover the cost for women, who are concerned, to have a repeat cervical screening if they wish to do so. By 1pm, the helpline has received about 300 calls. In the evening, CercivalCheck clinical director Dr Gráinne Flannelly informs the HSE that’s she stepping down from her position. She says: “I am sorry that recent events caused distress and worry to women. I have decided to step aside to allow the programme to continue it’s important work. I would like to take this opportunity to thank each and every one of the doctors, nurses and programme staff of CervicalCheck for their continued hard work and commitment towards delivering a first-class service for the women of Ireland. The HSE formally thanks Flannelly for her “enormous dedication, contribution and expert knowledge”. On the Ray D’Arcy Show on RTÉ One, Phelan is interviewed. She says that Simon Harris called her to apologise and to thank her for continuing to encourage women to go to smear tests, despite her experience with the HSE. The Sunday Independent reports that Phelan was told her case was one of ten audited in 2014. “I asked were any women who had been included in the audit…had any of them died. I was told three,” she says. Harris, meanwhile, says he does not know how many women have died as a result of the controversy. Speaking yesterday afternoon on RTÉ’s The Week in Politics, Harris says he would learn today if all of the women affected by failures in the programme had been told. He also says he will work with the government to avoid defending any other cases that may be similar to Phelan’s case in court. By close of play yesterday, the HSE helpline has received over 2,000 calls. It says the review has been challenging as it involves verifying certain information from 13 sites around the country. The HSE adds that all the women affected will be notified by today about their potential missed diagnosis. Both the HSE and the minister have said the women affected will be notified as soon as possible. Women concerned following the scandal will be able to avail of a smear test, and the State will meet the cost. Speaking today, Taoiseach Leo Varadkar said he is “very angry” that women were not told earlier about their smear tests being reviewed. The Taoiseach also confirmed that an inquiry into the scandal will take place but stressed that “cancer screening works”. With potentially hundreds of women affected, this story is likely to continue dominating the headlines for some time. The HSE helpline, open from 9am this morning, is available on 1800 454 555. Email “A timeline of the CervicalCheck controversy... and what will happen next”. Feedback on “A timeline of the CervicalCheck controversy... and what will happen next”.